I’m super excited to tell you about something new I tried recently. It’s the COMPLETE opposite of all the chaos that’s been in my world for the past few weeks. 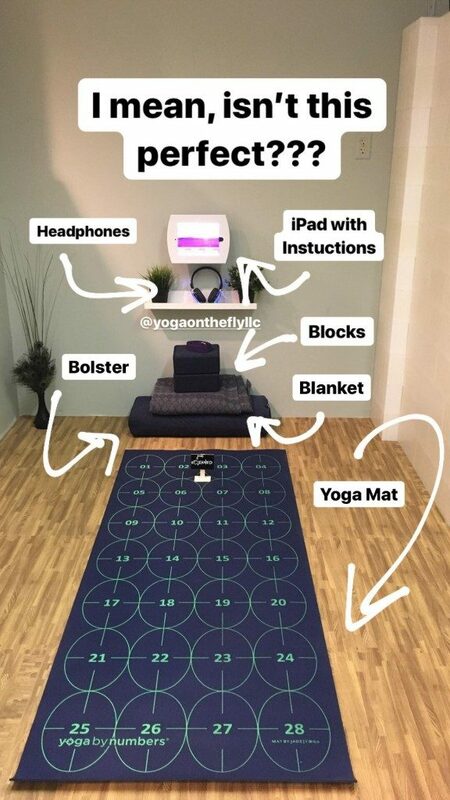 I got to try Yoga on the Fly for the first time! While I love my family, I hate traveling around Thanksgiving. Airports are truly the busiest, and there are people everywhere, dogs barking at one another, and for the most part, pandemonium! 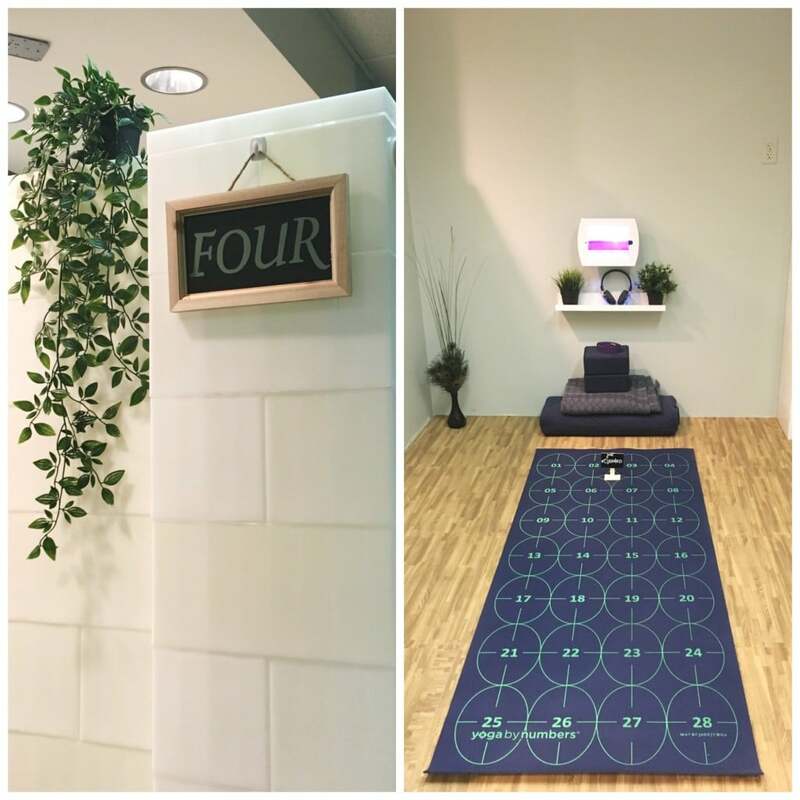 When I realized I would be traveling on (you know) the busiest air travel day of the year with the 1.15 million people that would pass through Denver on Wednesday, I realized quickly that it was the PERFECT time to try out the latest yoga boutique, and you guys, it did NOT disappoint. 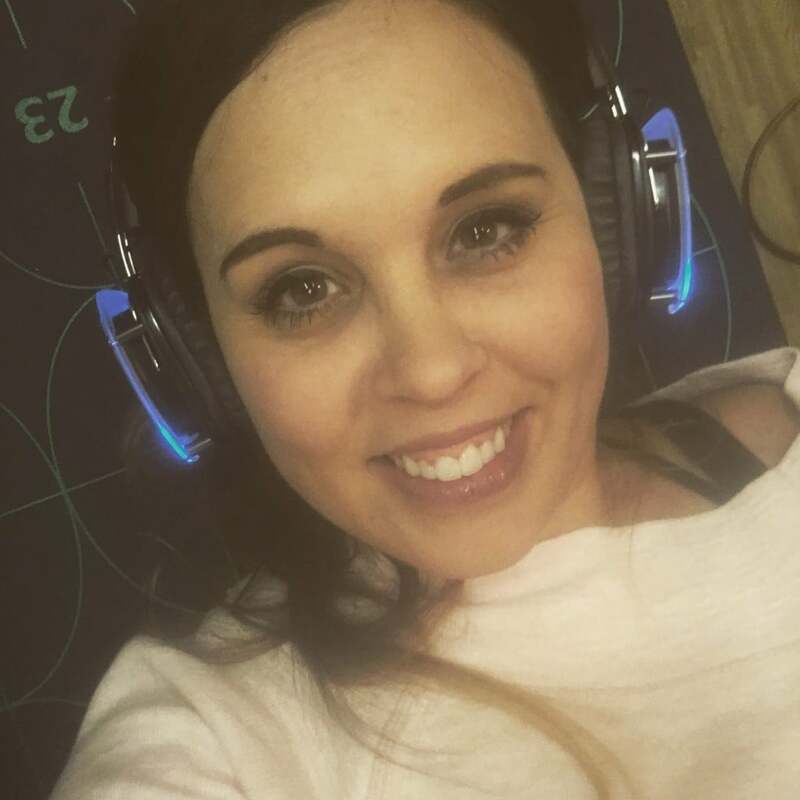 Because it’s a busy travel day (and I knew that I would NEED some yoga/meditation in my life today), I went online and booked my session before arriving. 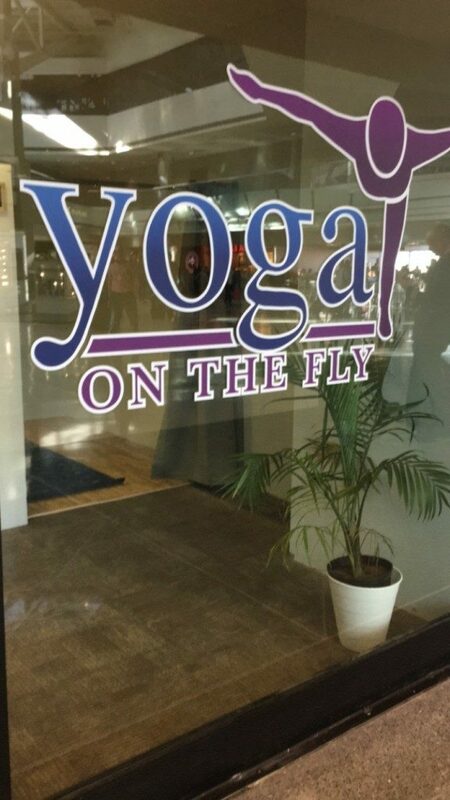 Yoga on the Fly conveniently offers a variety of durations from 15 minutes to 60 minutes. You can build up from there too, if desired, and the timeslots you pick allow you to fill your layover, to kill time before your flight takes off, and to just shut off your mind and breathe for a few minutes before your flight. Because I really didn’t want to get to the airport THAT early on Thanksgiving Eve, I signed up for a 30 minutes timeslot. For me, 30 minutes was the perfect amount of time to disconnect, anything longer than that might teeter on my type A self beginning to worry about having enough time to get to my gate amidst all the holiday travelers. Arriving at the studio, I was immediately greeted by three lovely yogis, including Elizabeth and Avery the co-founders of the concept. (Click here to read about how these lovely ladies came up with the idea for the studio!) 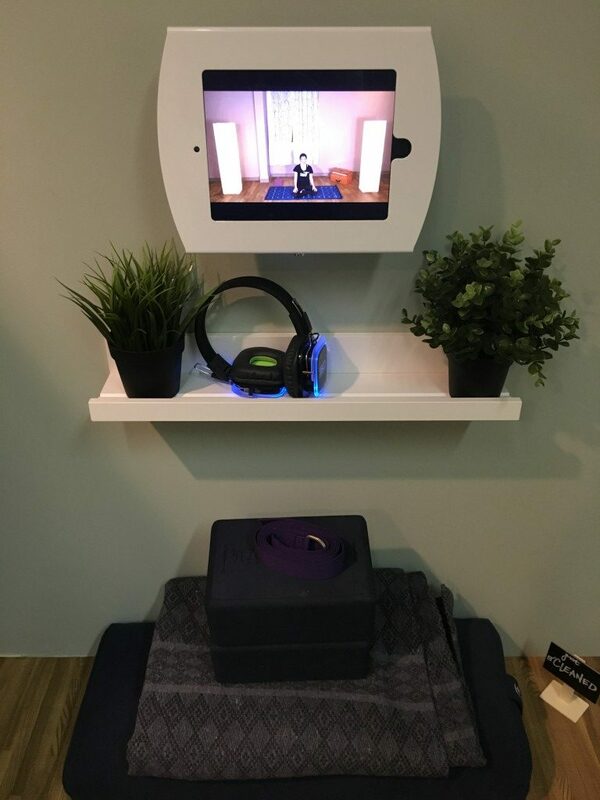 Not only does Yoga on the Fly have lovely aromatherapy piping from a diffuser, but it also has an adorable shop with all the treats a yogi needs right at the airport! 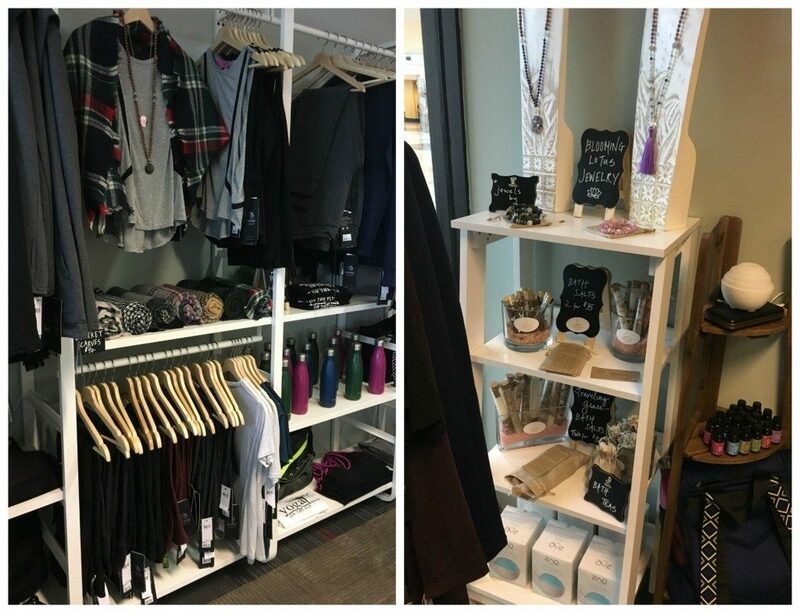 Cozy tops, soft leggings, delicious essential oils, and even some zen jewelry, I had to be careful not to get caught up in the shop. After all, I had a yoga session to attend! Once I was checked in and e-signed the appropriate waivers, Elizabeth helped me choose my classes. This part I thought was REALLY cool. You can choose different themes for your class. 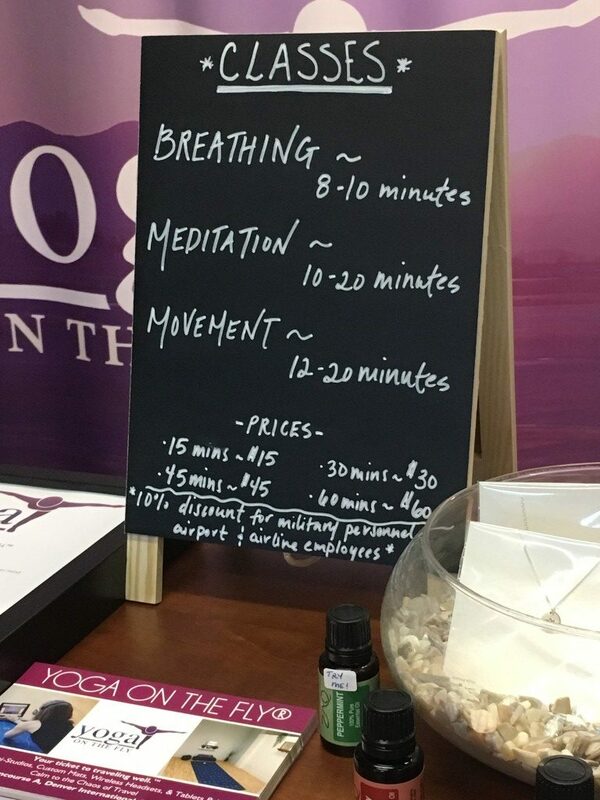 Example: I could choose from 9 different classes to fill my 30 minutes, including breathing, meditation, and yoga! I’ve had a few minor health struggles lately that make full vinyasa a bit of a challenge right now, so I quickly choose a 10-minute breathing session (Bee’s Breath) and a 20-minute meditation session (Deep Rest). These sessions still gave me the mental benefit of practicing yoga without the sweat and exertion a full flow would bring. Avery took me back to my private studio for my class and gave me the tour. First of all, how stinkin cute is it??? And inside this private room was EVERYTHING I needed to enjoy a quick practice before my flight. I stored my luggage to the side and navigated the iPad to find my selected classes. Within moments, I sunk into beautiful space and forgot all about being at the airport. It’s amazing how a beautiful voice in your ear telling you to relax and close your eyes allows you to escape so quickly. The two sessions went by so so quickly. While I sometimes think a 30-minute meditation is a little more than my mind can handle, it was absolutely perfect and refreshing. The perfect reset before I boarded the plane. I gathered my luggage and headed to my gate, clear-minded and ready for anything.